Ola's latest investment is aimed at developing electric vehicles and charging infrastructure for the Indian market. Bengaluru: India’s Ola is raising $300 million from Hyundai Motor Group, giving the ride-hailing startup more capital to compete for drivers and customers against Uber Technologies Inc. just as the U.S. rival prepares for an initial public offering. Ola, which primarily competes with Uber in India, presents a lower-profile challenge for the ride-hailing leader than American rival Lyft Inc. India has become increasingly important for Uber’s ability to show investors prospects for international growth after it retreated from China. Ola’s fundraising demonstrates Ola co-founder Bhavish Aggarwal, is willing to wage a pitched, costly battle for market share in the enormous market. “We’re very excited about our partnership with Hyundai,” Aggarwal said in a statement. Hyundai last year agreed to invest $250 million into Singapore’s ride-hailing service Grab and sell a fleet of electric vehicles to the company. The two companies are working on EV pilot projects in Singapore to collect consumer and driving data. The latest investment is aimed at creating a strategic partnership between ANI Technologies Pvt, Ola’s parent, and the South Korean automaker’s Hyundai and Kia operations. The trio will collaborate on creating and managing a fleet with financing and insurance benefits for drivers. They will also work on developing electric vehicles and charging infrastructure for the Indian market. 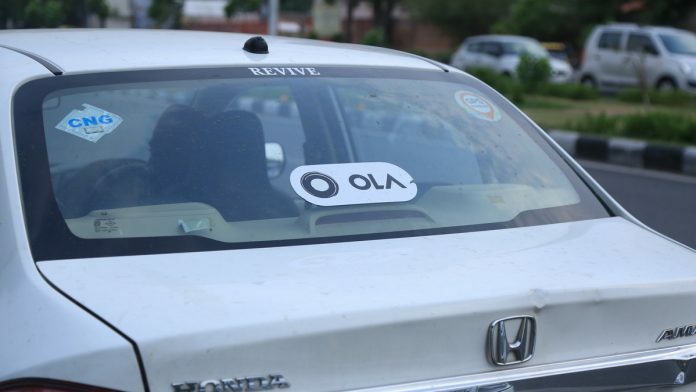 The companies will coordinate to develop cars for the specific needs of the ride-hailing market, said Aggarwal, who is Ola’s chief executive officer. Ola, founded in 2011 by Aggarwal and fellow founder Ankit Bhati, said it aims to create two million job opportunities in its ecosystem by 2022. It currently has 1.3 million drivers on its platform and users across 125 cities in India, Australia, New Zealand and the U.K.